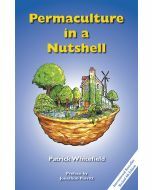 Patrick helps us to connect with our familiar countryside, exploring its history, unique features and its uses. 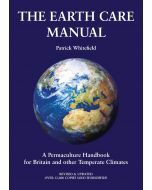 In How to Read the Landscape, Patrick explains everything from the details, such as the signs which wild animals leave as their signatures and the meaning behind the shapes of different trees, to how whole landscapes, including woodland, grassland and moorland, fit together and function as a whole. Rivers and lakes, roads and paths, hedgerows and field walls are also explained, as are the influence of different rocks, the soil and the ever-changing climate. 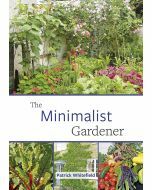 There’s even a chapter on the fascinating history of the landscape and one about natural succession, how the landscape changes of its own accord when we leave it alone. The landscape will never look the same again. You will not only appreciate its beauty, it will also come alive with a whole new depth of appreciation and understanding. The lively text is supported by 50 colour photographs, 140 line drawings by the author, and extracts from his notebooks illustrating actual examples of the landscapes he describes. Opening How to Read the Landscape is like opening a window on a whole new way of seeing the living world around you. "This book is the next best thing to Patrick joining you on your next walk. 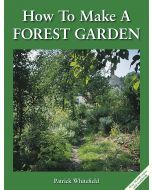 It will make you a better permaculture designer and your walks, either in town or country, more rewarding. Patrick has published many books over the last 23 years but this one is special: “Of all my books,” Patrick says, “it’s closest to my heart"."